The Nebbia Collection is inspired by a surprising resemblance between Murano’s foggy landscape, in the cold winter mornings, and the London fog. The colours and finishes of the collection are inspired from the water and damp weather conditions in both islands with hazy and cloudy effects, represented using traditional Muranese techniques. 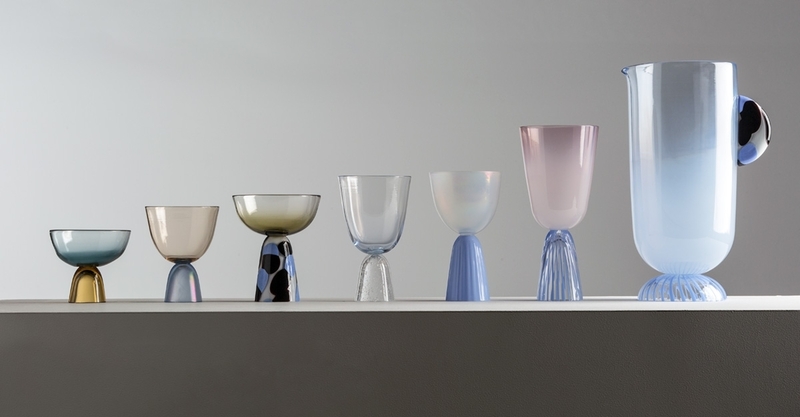 Nowadays mainly used for the production of thick, large scale pieces, these techniques (which require not only dexterity, but also experience and precision) are applied to a contemporary set of drinking glasses, with the aim of recovering the origins of the Anfora furnace: those glass goblets, or "Tipetti", now in risk of extinction.